No stubble. Just smooth bald shaves, huh? A few people asked us why didn’t mention anything about Andis vs Wahl foil shavers. Big mistake on our side indeed! After all, we have beauties like Andis Profoil and the famous Wahl’s 5 star Shaver Shaper, also the equally popular Wahl Finale. Still, there are some good points to Wahl’s own electric foil shavers too! 4.75", 0.2 lbs, grey polymer. Hypo-allergenic titanium foil. Good for sensitive skin, most durable among the three. Lithium-Ion, up to 80 minutes battery life. 4.6", 0.36 lbs, burgundy hard plastic. Hypo-allergenic gold-coated foil. Outstanding for sensitive skin, a bit more fragile. Ni-Cad, up to 60 minutes battery life. 4.6", 0.36 lbs, black hard plastic. Hypo-allergenic gold-coated foil. Great razor bump reduction, slightly fragile foil. Lithium-Ion, around 90 minutes battery life. We encourage you to read through the in-depth comparison. All models are ready to deliver slick bald looks and serve as spectacular skin fade/bald fade foil shavers. Note: The Finale is basically a 5 star Shaper with improved battery life – from 60 minutes on the older NiCad battery to 90 minutes on a Lithium-Ion one. However, I feel its foils are rather fragile, even though it’s great for bump razor reduction. 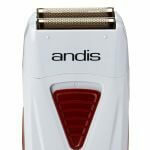 Andis Lithium Profoil shaver has a 4.75”, 0.2 lbs body. Made of grayish polymer, it is of moderate sturdiness. It could’ve been a bit more durable, definitely, but probably that would take from its extremely lightweight comfort. In comparison, Wahl’s Shaver Shaper is a bit smaller at 4.6”. However, it weighs almost twice as much at 0.36 lbs. Not that this will make it harder for you to work with it, but a lot of people value feather-like convenience. Both models feature hypo-allergenic foil. The difference is that Andis Lithium Profoil relies on titanium as a material. 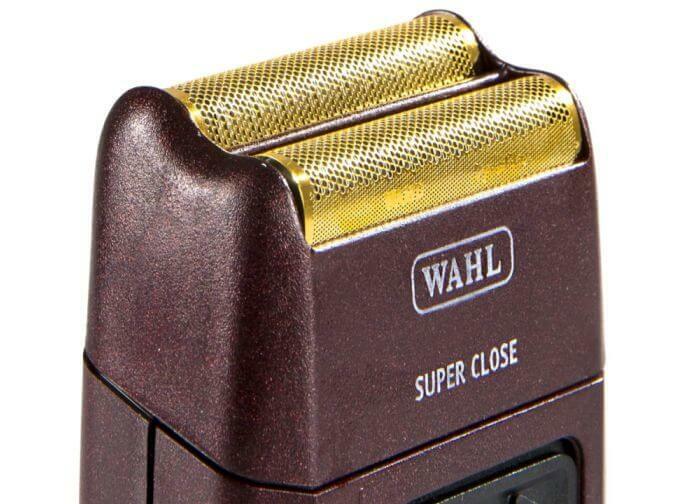 Wahl 5 Star Shaver, on the other hand, decided to go with a delicate gold coating for smooth shaves. Everybody applies pressure when shaving. Be more careful if you go with the #8061-100 Shaver Shaper. Its foils are a little bit more sensitive than Andis Profoil and you can damage them. Some people, like me, don’t like too lightweight of a body. For them, the Wahl foil shaver might feel more “properly” due to its weight. All in all, though, Andis Profoil pick scores higher in this department. This is a huge win for Andis. Not because of the Profoil Lithium shaver’s 9400 strokes per minute rotary motor. Wahl’s 5 star itself is quite powerful too. No, the reason is the battery. Battery life is the first factor. 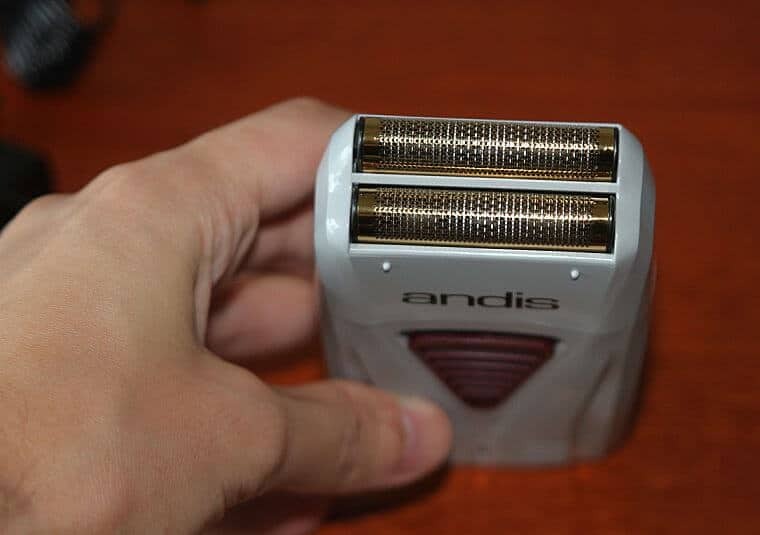 Andis’ foil shaver will last for up to 80 minutes when charged. The Shaver Shaper, however, will run for only up to an hour. Charge aside, though, the battery technology also matters a lot. 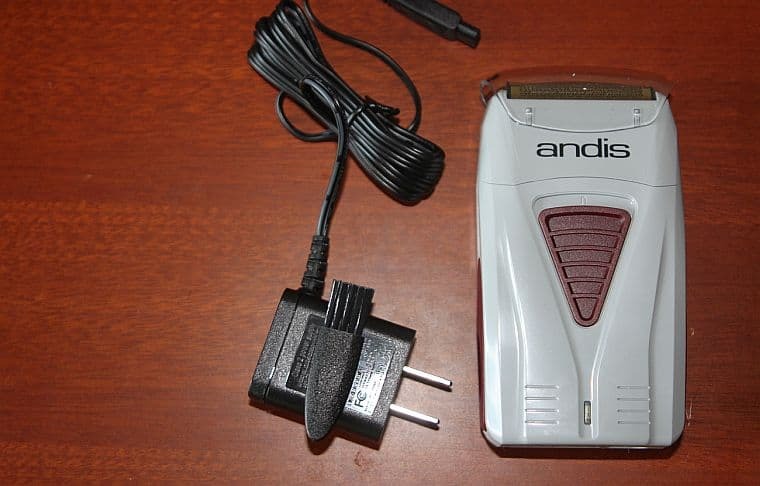 Andis’ electric shaver comes with the newest Lithium-Ion battery type. Wahl’s model sticks to the older NiCad one. Now, NiCad has something called battery “memory”. When the battery charge gets depleted slowly, devices running on NiCad also slow their cutting power. Something that doesn’t happen with Li-Ion technology. True: you can use both models as corded foil shavers too. For cordless purposes, however, Andis crushes it. Oh, and it runs on 100-240V and 50/60HZ so you can use it globally. This is the trickiest department. Both the Profoil and the Wahl shaver are very proficient in what they do. You can use them for finishing after your tight fades, cleaning up necklines or eradicating that stubble you didn’t want anyways. In terms of smooth bald looks, both will polish your dome with very close shaves. That said, Wahl 5 Star shaver shaper does seem a little bit better for extra sensitive skin. Again, this is very dependant on how prone to bumps and irritations your skin is. And it’s not that the #17150 Profoil Lithium won’t deliver a smooth cutting experience. All I’m saying is that in this department, maybe Wahl’s foil electric shaver does a tad better job. 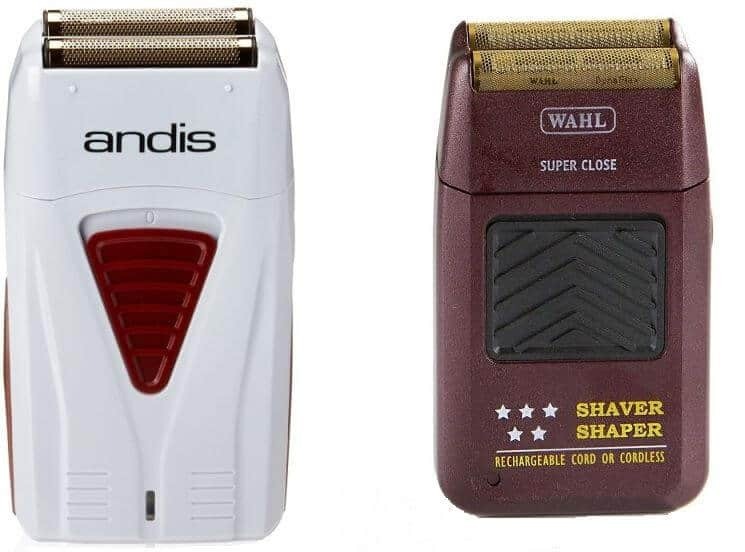 An Andis shaver vs Wahl 5 Star shaver shaper, huh…How can you really compare two of the best products in their own niche? Well, we just did. As I mentioned, our conclusion is that Andis have done it a little bit better this time. Better, longer battery, a bit more durable foils overall. However, what Wahl seems to do a bit better is the smoothness of the shaves part. In reality, though, these are the lone kings in their own niche of barber-grade foil shavers. Just think what will work better for you and pick accordingly. Try This Cordless Hair Trimmer for Women’s Facial Hair! Hi, which is the last model of wahl 5 star final? Hi Viktor! 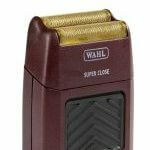 The model Wahl is selling now from their own website is No.8164, which is also sold on Amazon. Agreed that the Andis is better overall. I never had that issue with the foil on the Wahl though, but feel that Andis makes a better foil that is thinner and gets closer.